Established jointly by NICANOR’s founder Dr K.S. Heng, Hair & Face Clinic is a medical aesthetic & cosmetic clinic providing non-surgical treatments and procedures in achieving beauty objectives and aspirations. Complementing NICANOR’s surgical procedures, Hair & Face Clinic achieves enhanced appearance on the face and skin by using non-invasive forms of cosmetic treatment methods. 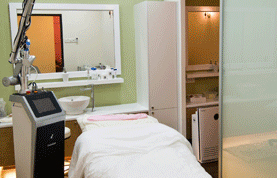 Our services cover three main areas: the face, hair and the body; and include a full range of latest cosmetic techniques including BOTOX® treatment, fillers, MedLite rejuvenation, tattoo removal, pigment removal, chemical peeling, mesotherapy, microdermabration and O2 Vitamin Infusion, amongst others. In keeping up with fast-moving cosmetic developments, Hair & Face Clinic undertakes continuous research on the latest non-surgical cosmetic solutions, and translates the benefits directly to our customers by advising on the best treatments for the best results. All our procedures are meticulously undertaken by Dr, an established cosmetic practitioner in the fields of dermatological laser treatment, non-surgical aesthetic procedures, therapeutics skin care and anti-aging solutions. 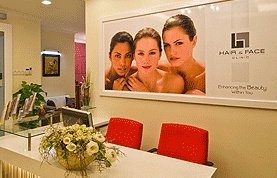 Today, Hair & Face Clinic is fast building a solid reputation as a professional, result-oriented non-surgical alternative in Malaysia for men and women wishing to explore non-intrusive forms of cosmetic treatment. Together with NICANOR, we have the competency to provide complete, one-stop cosmetic solutioning to help achieve beauty aspirations for people far and wide.